Después de los horrendos lectores que lanzó gandhi en su alianza con Papyre y la llegada de libro a Play. 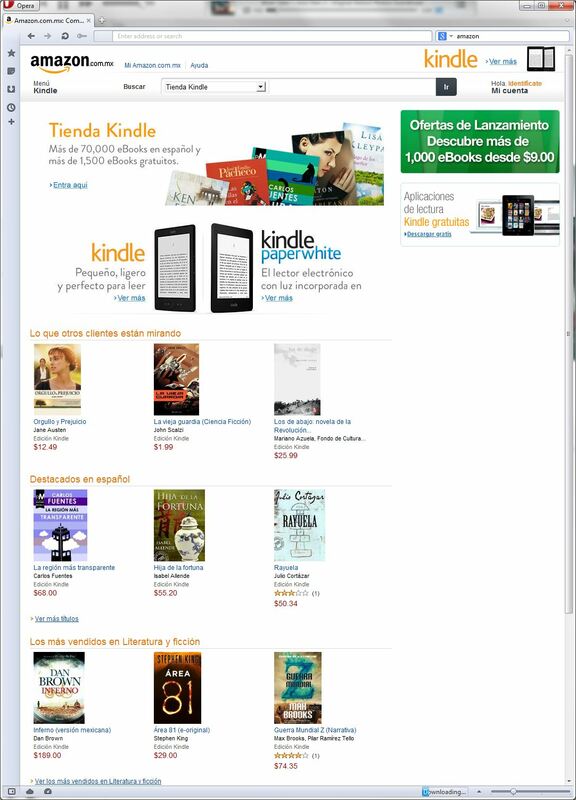 no había pasado gran cosa con los e-books en México. No sé después de España ¿por qué tardó tanto? Llevo un rato platicando con otros pirados de las redes sociales y hay quienes dicen que si hay diferencia de precios,hay quienes dicen que el catálogo está bueno. ¿qué va a pasar con ellos? ¿Cómo va a ser la relación con gandhi? ¿sólo de venta? ¿sus catálogos van a competir? ¿qué va a pasar con los precios en México para otras editoriales y otras tiendas? ¿sólo llegaran a los libros? ¿es eso algo bueno? 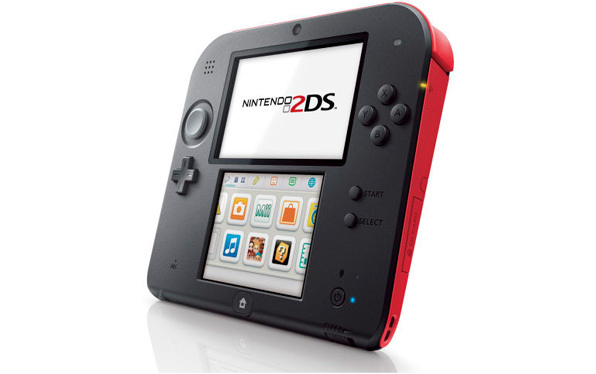 Imagine a standard 3DS laid all the way flat, and with the depth slider all the way down. Everything else is there in the system. Se supone que su publico objetivo son las audiencias todavía más jovenes que las del 3DS, si aquella máquina es para 7 años en adelante, esta tal vez sea para los de kinder…¿no es peligroso el stylus? En realidad sospecho que es para combatir los horrendos juegos de celular que son gratuitos o muy baratos. ¿En serio? Hay dos o tres juegos que valen la pena por ser hecho a medida de esas plataformas (y algunos implantados que se ajustan muy bien) , pero seamos francos, sin controles, la experiencia apesta o es muy limitada. Shortly after escaping the planet from Pitch Black, Riddick, Jack, and the Imam are picked up by a Mercenary spacecraft. Although Riddick attempts to conceal his identity from the mercenaries by impersonating William J. Johns (in Pitch Black) over the intercom, they quickly voice-print and identify him. Captured by the mercenaries, the trio of survivors discover that their captors have unusual plans for them. The ship’s owner, Antonia Chillingsworth (Tress MacNeille), collects criminals, whom she freezes and keeps as statues that are, in her view, art. Although the criminals are frozen, they are alive and conscious. To her Riddick is the ultimate “masterpiece” for her collection. Riddick, Jack, and Imam must fight their way through the army of human and alien creatures at her disposal or they will meet a fate crueler than death. Riddick is pursued much of the story by Toombs and his mercs/bounty hunters. Mercs are kept in suspended animation until they are needed. They are released to confront Riddick and company aboard the ship. Jack has important character development, as she discovers her violent side by shooting the ship’s owner just before she can kill Riddick. This discovery is clearly a source of worry for Riddick and Imam as the three escape from the mercenary ship. Riddick decides to deliver both Jack and Imam to New Mecca, leaving them behind. With The Chronicles of Riddick: Assault on Dark Athena, players will not only be challenged to survive Butcher Bay, but will also engage in a new single-player experience and, for the first time in the Riddick universe, take action in intense multi-player combat. The game introduces the ominous Merc-ship Dark Athena, which sits silent like a marauding spider, awaiting helpless prey in the dark reaches of the galaxy. Players must face a large, bloodthirsty operation led by the dreaded Captain Revas and her slaves-turned-controllable combat drones, storm though death-defying events and fight fierce enemies in a battle of malice and gore. Este lo tengo hace unos años, pero como les comenté, viene también con el primer juego y, pues, no lo he corrido hasta acabar aquel, y ya saben que eso de terminar los juegos no es lo mío. Aquí había más prespuesto, es de los roles culposos de Judi Dench. ¿Donde verla? You are Richard B. Riddick, the most wanted man in the universe. El juego lo venden con su secuela, y alguna mejora en gráficos.